I found an interesting article in Google Webmaster Guidelines that I want to share with you. You can read the article by clicking here. Google confirmed that the Speed Update scheduled for July is now rolling out for all users. This means page speed is now being used as a ranking factor in the mobile search results. In their original announcement back in January, Google said that only a small percentage of queries would be impacted, “those that deliver the slowest experience to users”. Slow pages may still rank highly if they have high quality, relevant content. The move is separate from mobile first indexing and will affect all mobile sites, including those that haven’t yet officially been moved over to mobile-first indexing. 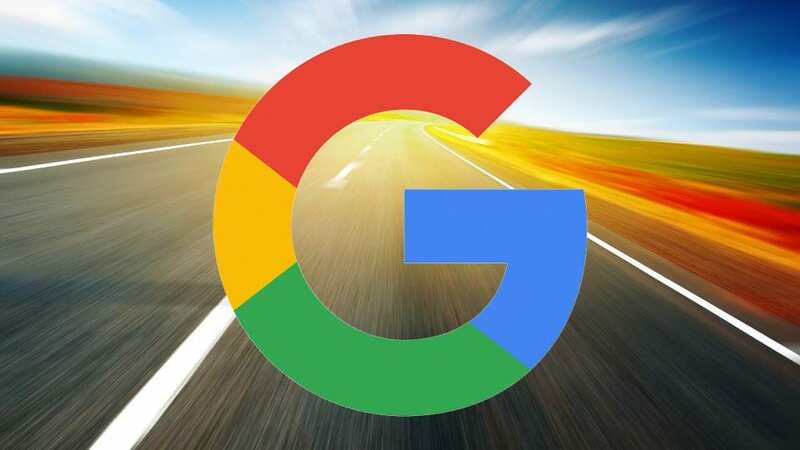 Google doesn’t give a specific speed metric that your site should be aiming for and John Mueller said sites could improve incrementally, so small gradual improvements to slow sites can help rankings. Google has plenty of tools to help you improve your page speeds. Test My Site is a simple to use mobile speed testing tool which gives a a general rating and an estimated percentage visitor loss figure due to loading speed. The Page Speed Insights tool will test your mobile and desktop speeds and give suggestions for how to improve. See the Wordtracker case study on how we improved our speeds using this tool. Google also refers users to their Lighthouse tool and the Chrome User Experience Report to analyse a page’s performance. We had no idea this new feature had been added to Google search until a client called and said he had 7 phone calls in one day about cottages for sale on a specific lake. At the top of the page was a box with an excerpt from the page on his website, a photo excerpted from the page and a link to the page. Right below that is a link to the page again. 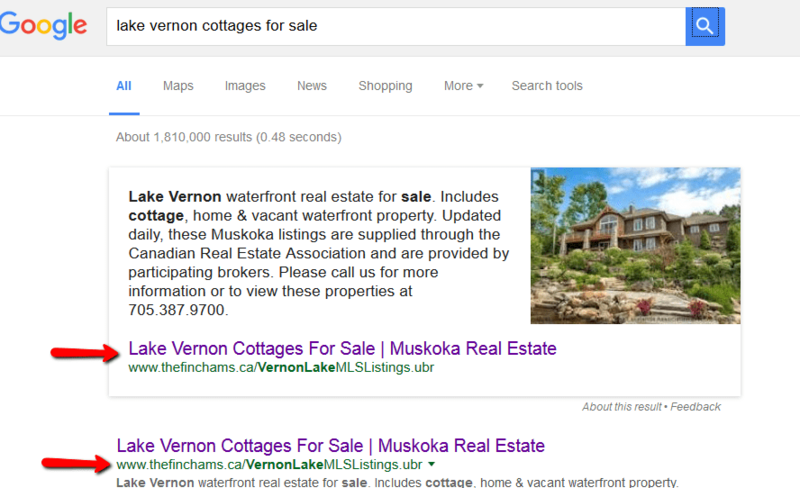 Try your own search for lake vernon cottages for sale and see for yourself. How can I mark my page as a featured snippet? You can’t. Google programmatically determines that a page contains a likely answer to the user’s question, and displays the result as a featured snippet. The only way to achieve this incredible advantage is to continue to add relevant keyword content in context so your page is the authoritative result for the search terms. One thing I find interesting is that the page that is featured in the snippet does not have a lot of content which adds to the mystery of Google. Check it out. Just as there is no sure get-rich quick scheme there is not fast track to a first page ranking of your website. SEO is an on-going process interrupted with every algorithm update released by Google or Bing. While there have been at least 5 updates to the Google algorithm and no one know for sure what they all are the one thing the experts agree on is – Content is King. If you want your website on page 1 of a search it has to deserve to be there. To deserve to be there your website has to answer the search query in context. In short, if all of the words the person types in the search box are not found in context on your website then you will not appear on page 1. You can’t blame Google. If they do not put the best results on page 1 there is a good chance you will rely less on the internet or you will use Google less often and that means lost revenue. Search engine optimization (SEO) for Realtors is a process. It starts with making sure all of the static items are checked off like keyword Page Titles and Descriptions, H1 headings on pages and lots of relevant content. Then the next step is to update the content on your website regularly through blog posts and by adding complete pages of relevant content related to what you want your website to be found for. Add content worth reading focusing on the area, type of real estate and type of client you are trying to attract. Conduct searches using the keywords you want to be found for and see what websites on page 1 are doing to get there. Develop a sustainable blogging program. A 2 line blog post with a great keyword title every day will eventually outrank a long blog post added once a month. Contact us for more information about our guest blogging services and search engine optimization services. Should I Register a .REALTOR Domain Name? As of October 23, 2014 the US National Association of Realtors (NAR) and CREA in Canada have made available a “.REALTOR” domain name for your website. It’s a new top-level domain like .com, .ca and .net exclusively for their members and representative organizations. Only REALTORS® can use the new .REALTOR domain. Should you get one? If you get one what do you do with it? What does it do for your marketing? Either your full first or full last name must come directly before .REALTOR. The number one reason to register a .REALTOR domain is so no one else can, but other than that I do not see any benefit. Limelight Marketing writes weekly guest blog posts about Realtor Marketing for the Real Estate Weekly website; one of the leading real estate websites in Vancouver. This weeks post was titled Social Media for Realtors: How to Use the Key Platforms. Following is a brief summary. You can read the whole article by visiting the REW website by clicking here. Facebook is good for interacting with people on a more personal level, so it is useful for real estate. You can use your personal page, but a separate business page is recommended to keep your personal life separate. Compared with the lifespan of a Facebook post, where 75% of engagement occurs within the first five hours, a tweet has a life span of about 18 minutes. Posting a video of a listing on YouTube works the best for exposure. This is purely visual – showcase your listings by adding key photos to Instagram. People will see your pictures, re-post them and provide free traffic to your website. Building a network of potential buyers and sellers is difficult on LinkedIn, but within the real estate industry, LinkedIn can serve as a means to participate in community discussions with fellow professionals and those interested in real estate. Google+ is the second largest social media network behind Facebook. You can read the whole article by visiting the REW website by clicking here. Limelight Marketing writes weekly guest blog posts about Realtor Marketing for the Real Estate Weekly website; one of the leading real estate websites in Vancouver. This weeks post was titled SEO for Realtors: The Good, the Bad and the Ugly. Following is a brief summary. You can read the whole article by visiting the REW website by clicking here. Blogging: Blogging is one of the most important tasks you can undertake. Sitemap: Make sure your sitemap is submitted to Google Webmasters. Analytics: Set up your Google Analytics so you can monitor visitors to your website and their activities while visiting. Page titles/descriptions: Add page titles and descriptions using keywords and phrases that best describe the communities you work in and the types of real estate you sell. Hiring an SEO amateur: Employing an amateur to optimize your website is like hiring your neighbour’s teenage son who is taking a high-school auto mechanic course to fix the brakes on your family car. Duplicating content: Buying content for your website runs the risk of the content being duplicated across many websites and Google will penalize your ranking. Unnatural links: Buying links from unknown websites was popular a few years ago, but recent Google algorithm changes actually punish websites that have “unnatural links” coming in to a website. Believing the marketing hype: Falling for SEO claims to get your website on page one is like believing in the tooth fairy. Read more by visiting the REW website by clicking here. Website marketing, Search Engine Optimization and Social Media marketing are a fact of life and a source of frustration to small business owners. Without enough knowledge or time to spend on these areas it is sometimes easier to take the easy route or hire the first person you come in contact with. Do so at your peril as these three areas are the keys to your online success! So what are the top 10 Website, SEO and Social Media Mistakes To Avoid? While this was popular a few years ago, recent Google algorithm changes actually punish websites that have unnatural links coming in to your website. If the link is not from a legitimate, known source such as a supplier or customer then turn it away. Better yet go through all your link and make sure they are legitimate. See Buying links above. 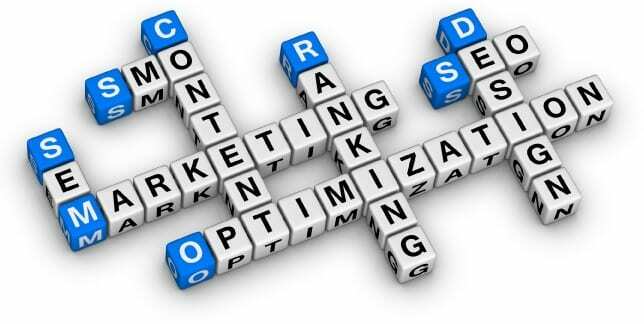 The only content that should go on your website is content related to you, your product or your service. 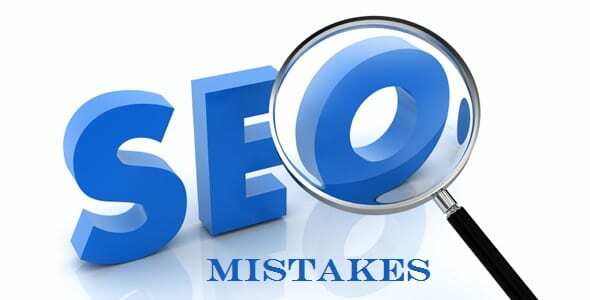 If it is not related to your business and helpful to the visitor it will not contribute to your search engine success. If the content you buy shows up on dozens of other websites it will actually penalize your rankings from what we have read. It is rare for every customer of yours to be at the same stage of their relationship with your company or have the same interests. Look at your database and at least differentiate between prospects and clients and email appropriate information. If you are a Realtor segment between buyers and sellers. When you were 5 years old having someone like you was important. You would invite them over for dinner or share a treat with them so they would like you, but buying likes for a Facebook page is akin to leaving your phone number on a bathroom wall. If the people “liking” your page are not interested in your product or service then you will never know how many people are really interested in what you have to say. Post good information and people will like you for who you are and you will always know how many prospects you are reaching. See Buying Links and Buying Content above. Visitors who “like” your Facebook page because you add cute kitten photos are there for the photos and not your brand, product or service. It does not hurt to mix up your content, but you want people to “like” your page because it is informative, entertaining and interesting. This went out with bell bottoms, but people still flog the idea that they can post a new release on 200 “legitimate” new release sites which will create 200 links back to you and is as harmful to your website rankings as Buying Links and Buying Content above. Do not let anyone do this on your behalf. If you have a local or regional product and you want to make it easy for people to buy it find an E-Commerce platform that makes it easy for people to buy online. Adding a single sku to Amazon and expecting people to navigate through all of the ancillary crap on the website is a recipe for abandoned shopping carts. I did not start this list to slag every SEO technique or vilify legitimate companies or individuals starting in the business, but like I said in the opening paragraph your website, optimization techniques and Social Media strategy are the key to your future so avoid these mistakes. For more information please call us at 800-568-8338. 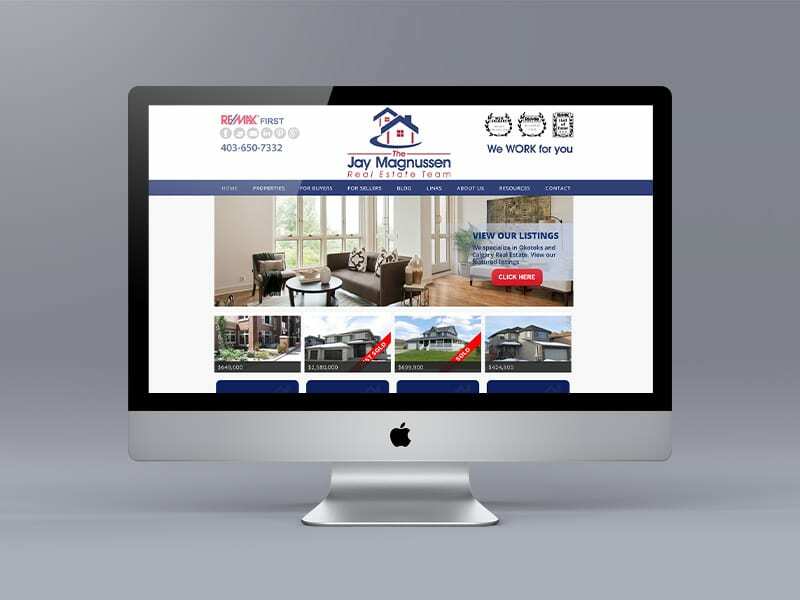 We were contacted by Jay Magnussen, better known as “Sold By J” to optimize their existing website that was with another provider. We analyzed the architecture of the website and had to advise that there was no way we could make an impact with that platform. We recommended a new Ubertor website and outlined how we could optimize it to achieve page 1 search results organically. The ubertor platform is a magnet for search engines. What you can’t see is the more than 300 pages we set up for all houses, condos and townhouses for sale by area in SE Calgary, SW Calgary and Okotoks. This introduces a couple of thousand addresses that are indexable by Google and people searching for a house for sale will likely end up on this website. We also recommended forwarding www.soldbyj.com to a new domain name of www.calgaryokotokshomesforsale.com to further improve search engine results. The website has 8 Call to Action buttons and makes it easy for visitors to drill down to what they are look for. The website design is responsive and resizes for iPhones and iPads. Please call us at 800-568-8338 if you are interested in an updated or new Ubertor website. SEO or Search Engine Optimization is essentially about making your website easy for both users and search engine robots to understand. Although search engines have become increasingly sophisticated we have had success raising small businesses and Realtors search results online by a combination of ‘White Hat’ techniques and guest blogging. 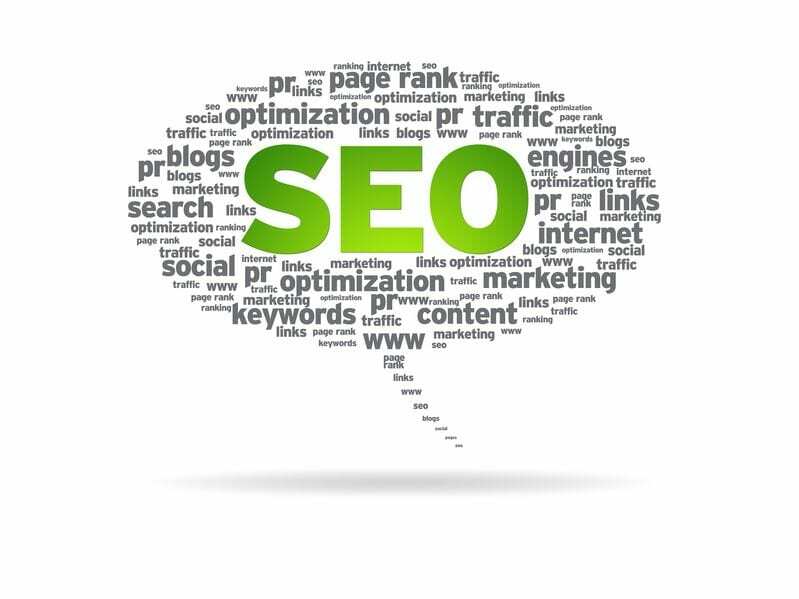 SEO helps the engines figure out what each page is about and how it may be useful for users. Ranking better on Google directly impacts your sales and increases website traffic. Consumers are making their purchase decisions online. Learn more about the services we offer by clicking here. You can also read more about our Guest Blogging services by clicking here. Visit Limelight Marketing's profile on Pinterest. © 2019 Limelight Marketing. All Rights Reserved.